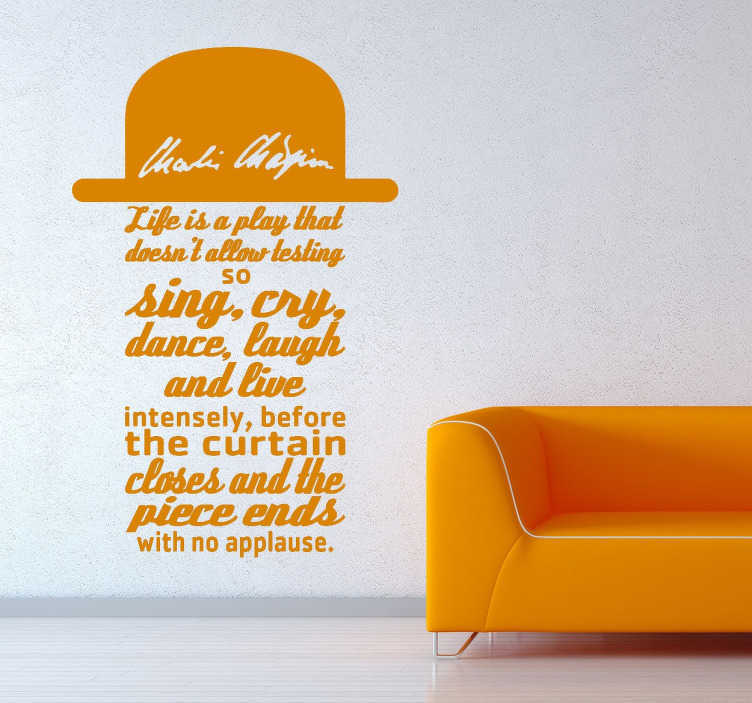 Wall Stickers - A quote from the famous Charlie Chaplin. Charlie Chaplin is a man who needs no introduction. He is regarded as the greatest comedian of all times. This sticker captures one of his best quotes on high-quality vinyl. This adorable wall decal is available in almost 50 vinyl colours. You can even choose a sticker size that you consider perfect for the wall of your living room, bedroom or dining room. The sticker is easy to apply and easy to remove, thanks to its top-quality vinyl. Immortalize your walls with an immortal quote of this immortal comedian.